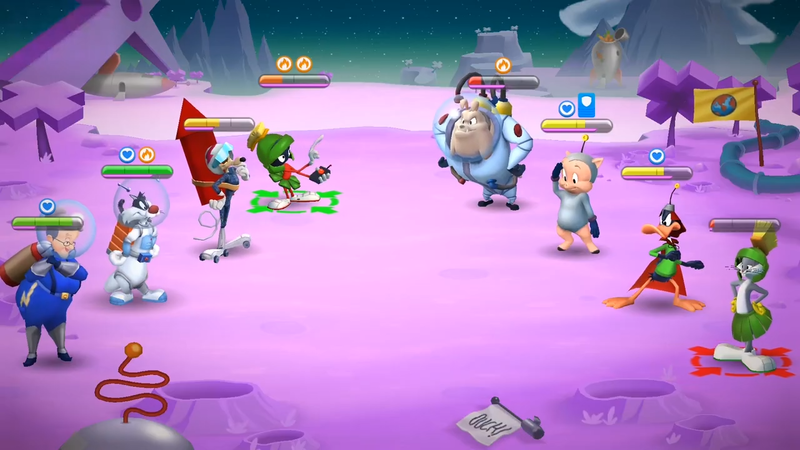 Looney Tunes World of Mayhem brings your favorite characters to iOS and Android for free. Ready to hang with your favorite classic cartoon characters like Bugs Bunny, Daffy Duck, and Wile E. Coyote? Today, you can pick up Looney Tunes World of Mayhem as it hits iOS and Android devices as a free-to-play multiplayer RPG. It brings 70 Looney Tunes characters to the table, including favorites and lesser-known personalities so you can drop the anvil on all of your cartoon pals while working to collect them all. On December 15, some Instagram person you've never heard of, Zach King, is launching a special branded video from the ACME Anvil Lab on his page, which you can check out and make tons of gifs from via Giphy. Incidentally, you know. This does look like a lot of fun, though, to be quite honest. It's been a long while since I played a Looney Tunes game I actually liked, possibly since Bugs Bunny's Crazy Castle, the GOAT. Or it might have been Taz in Escape from Mars back on the Genesis and Game Gear. Not quite my cup of tea, but I enjoyed the shout-out to Bugs Bunny's Crazy Castle. Such a great game.